This bracelet is ideal for T-shirts,denims,casual wear, knitwear. 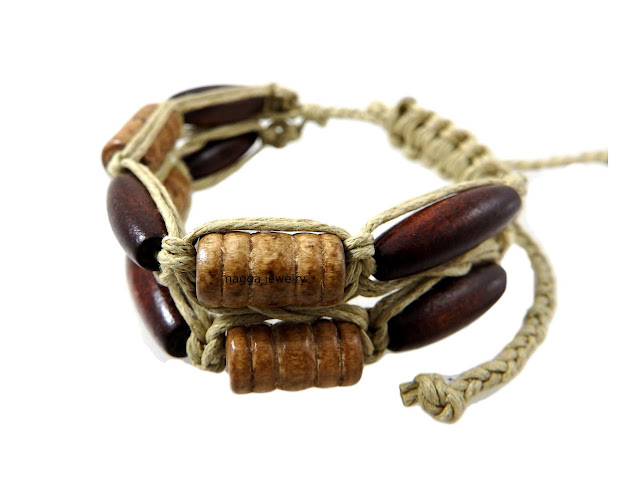 It is made with combination of brown wooden beads and brown cotton cord. You will receive our special handmade Nagga Design Shop gift bag for free!